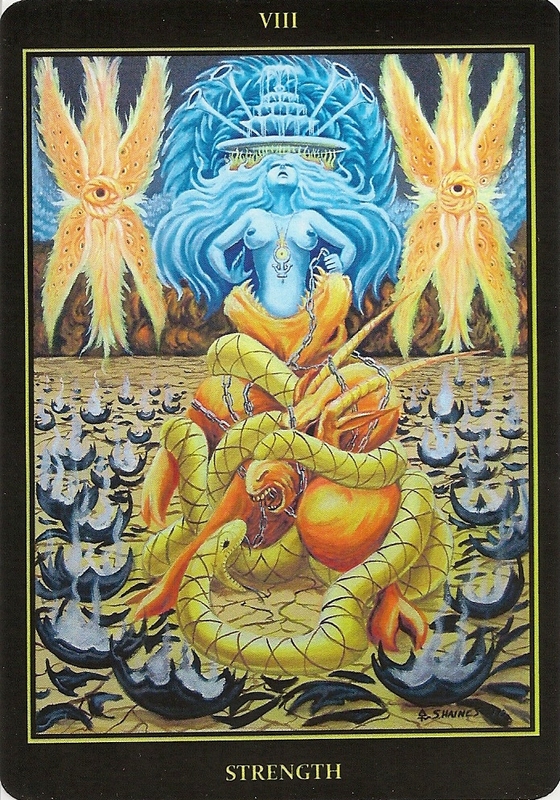 The Tarot of the Golden Serpent is a work in progress. This is an edition of the Majors only, but eventually it will become a full deck of 78 cards. The images for the cards are created as a series of oil paintings. 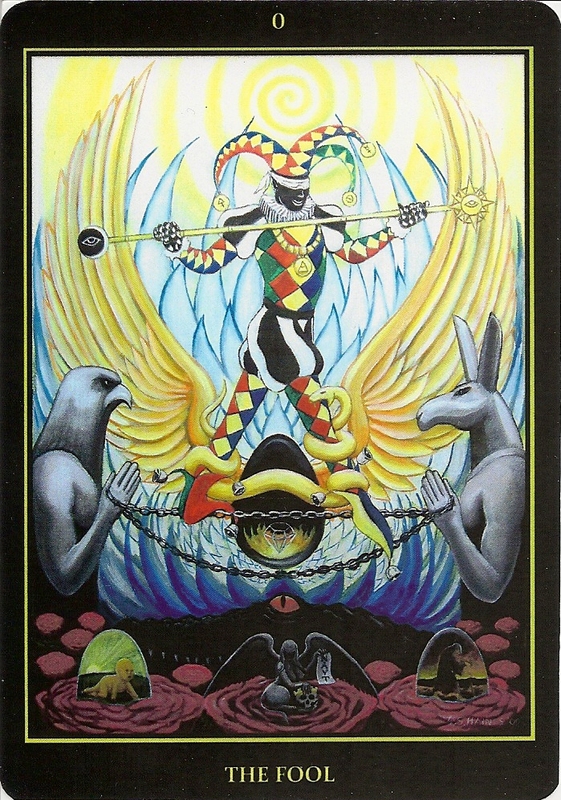 The Major Arcana are 18x24, but the not yet existing Court Cards and Minors are planned as paintings on smaller canvases. For each of the cards Sebastian Haines has worked out a set of images which he constructs within a symmetric structure. The symbolism is taken from alchemy and western ceremonial magic. For the fool Hains took inspiration from a Gnostic amulet found in Budges Amulets and Talismans. The amulet depicts Harpocrates riding in a boat with the heads of Horus and Anubis at either end. 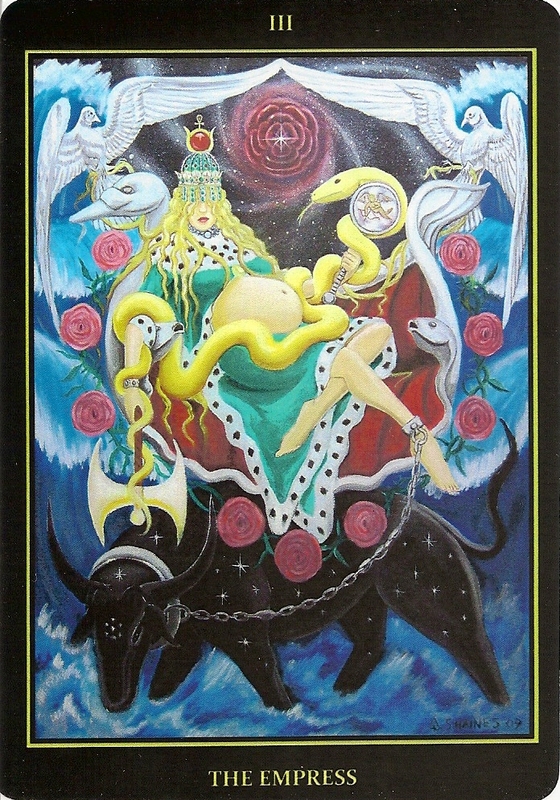 As in the Thoth deck, the empress is pregnant to emphasize the nature of Venus (ruling Taurus), but also express reproduction as a universal principle. She is chained to Taurus as an expression of materialization - energy becoming form. There is also a reference to the myth of Europa. On the Strength card the smoldering black shards were making a reference to the Qlippoth. 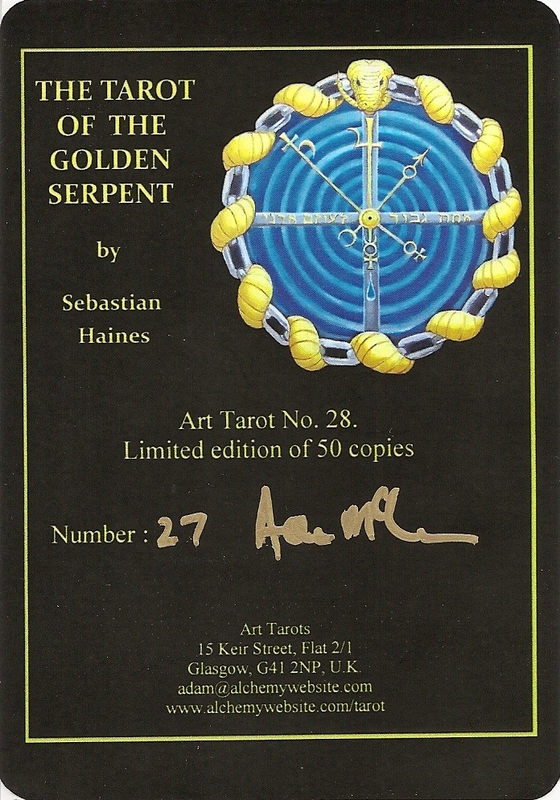 The Tarot of the Golden Serpent is a limited edition of 50 signed and numbered copies. The cardstock is thin, the backs are blank and the deck came in an old CD case instead of a box. There is no LWB.